Over the last few months on Snapchat, I’ve been engaging in conversations with hundreds of entrepreneurs around what they believe are the biggest myths that exist around starting a business. This is such an important conversation to have, as too often, the heightened romanticism around entrepreneurship impacts our sense of reality in the early days. What frustrates me is the detrimental impact these myths can have because they encourage entrepreneurs to buy into a fantasy that isn’t real. Often, when our reality doesn’t line up with the fantasy we think there’s something wrong with us. When really the only thing wrong, is the lens through which many view entrepreneurship. 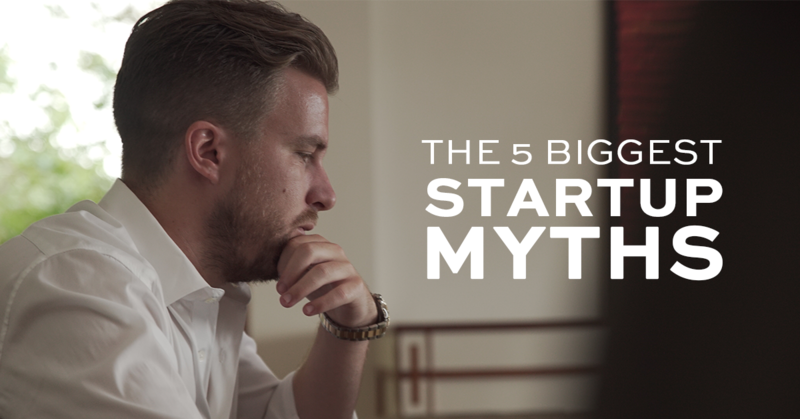 One of the biggest myths in startup business right now globally, is that idea, ‘If you build it, they will come.’ Anyone who has been in business will have painfully discovered first hand that this is not true. This philosophy is founded upon a sense of entitlement. Too many entrepreneurs make the assumption that simply by going into business they deserve to have customers, or capital or success. If these things don’t come, they blame it on the government or the economic landscape in Australia or another external force. Ultimately entitlement in business, particularly in the early days, will act as a barrier to your growth. Build it and they will come? No. The beautiful thing about a business is that you have to build everything. Build a great product that genuinely amazes people, produce a marketing campaign that truly speaks to the hearts and minds of your audience, iterate according to any negative feedback you get, and then over a period of many years, your customers will start to come. What a lot of early-stage entrepreneurs don’t realise is that at the beginning of the journey, patience is key. While the media may make us feel as if successful businesses are born overnight, ultimately most of those overnight successes took 5, 10 or 20 years to build. Look at Facebook, for instance, one of the fasting scaling businesses in the world. Zuckerberg had a series of businesses prior to starting Facebook, and it wasn’t until Facebook’s fourth and fifth year that it really took off worldwide. Personally, I went into business when I was 18 but didn’t start developing consistent, reliable cash-flow until my sixth year. These timelines are not uncommon, in fact, they are the norm. While I’m sure there are some instances where founders of lifestyle business do free up a lot of additional time on the side. What I’ve witnessed from educating 1000s of entrepreneurs through The Entourage, are people who give up working 40 hours a week in a full-time job, to start their own business and work 80 hours a week. They definitely don’t have any additional free time, particularly in the early days. And neither did I when I first started out. Ultimately, how far you go in business is directly relative to your level of obsession. We don’t get to start a business, sit back on a beach and watch the customers, money and success roll in. Instead building a business takes hard work, and often, long hours. If that’s not a sacrifice you’re willing to make, then entrepreneurship might not be the best path for you. When starting a first business, one of the worst things you can do is feel completely married to that idea for the rest of your life. Often we do our apprenticeship in those initial years in business. For many it takes two or three different business ideas, to actually reach a point where cash-flow and customers are consistent. However it’s through the journey, and the mistakes we make that we are able to grow as entrepreneurs. There are so many unforeseeable lessons that we learn in the early days, which often enable us to succeed in our second, third or fourth business. I’m not suggesting that if you’re starting your first business that you should treat it like an exercise. Always give it your all because it might succeed. However, if it doesn’t, then don’t feel as if you have failed in business. You have just done your apprenticeship, so move on to the second idea. Business is a game of becoming comfortable with being uncomfortable, finding perfection in imperfection and knowing that nothing will ever be perfect, regardless of how good the business gets or how well you build the foundation. We all want more time, or information or resources, however, we need to learn to live in a reality of imperfection and find the beauty in that. Ultimately, those who wait for the stars to align before they move, never end up moving, so don’t wait for perfection before you launch, instead just launch. For early stage entrepreneurs, it’s often that first step into the unknown that’s the most difficult to take. My team at The Entourage, have worked with 1000s of new startups to enable them to turn their ideas into a reality and gain early traction. Book in for a free consultation here today if you want to speak to The Entourage team about launching your own business. Thanks Jack! Reading this is like giving me big hug and telling me, much like I do my kids, to brush off the doubts, uncomfortable and embarrassing ‘ bits’ and get on with it… I’ve struggled to keep up my studies in the diploma with The Entourage while launching my site fir my chocolate business… But I launched it this weekend, and everything you say here is true for me… And parts of which I wrote about in my blurb for my nomination in the Ausmumpreneur Awards… To launch my site and be nominated for these awards in the same month was validation that I must be moving forward… Now to get that assessment in and rock the marketing and sales modules!!!! Your words again hit the nail right on the head. If at all possible I would love to speak with one of The Entourage team about my little business moving forward . Thank you for all your information .